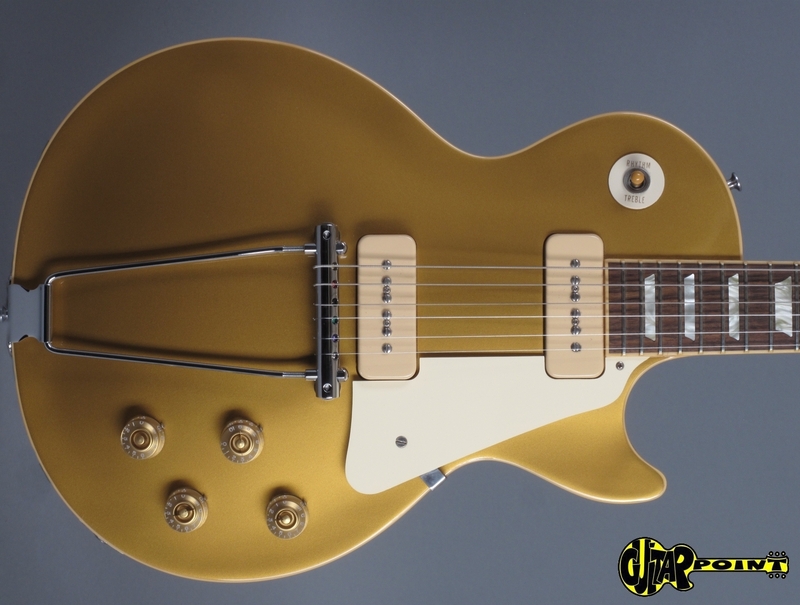 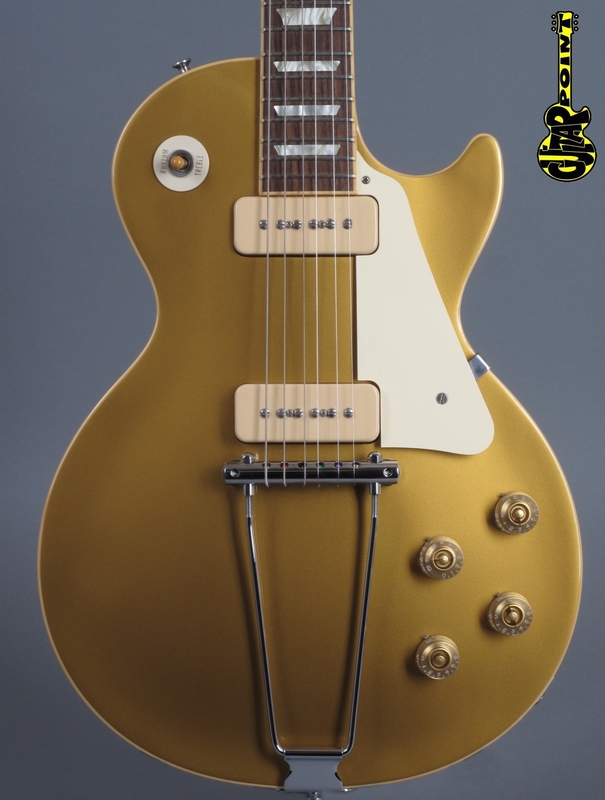 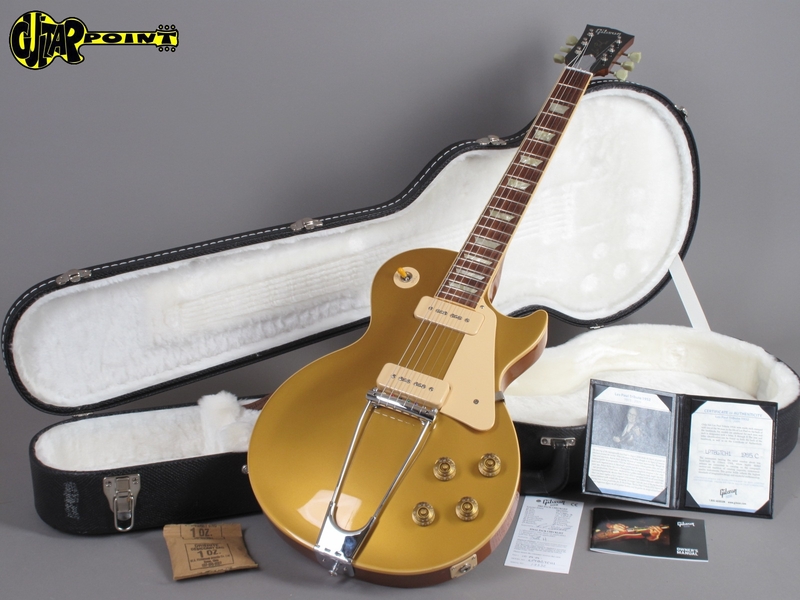 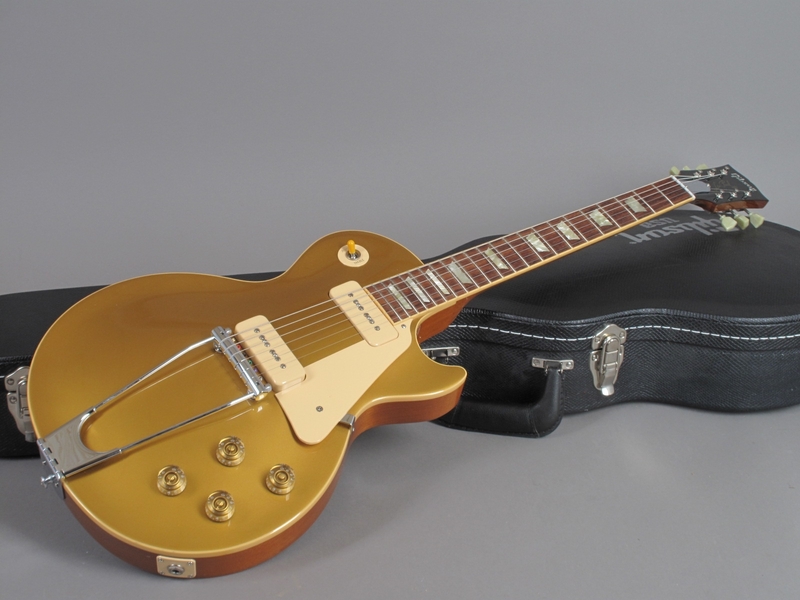 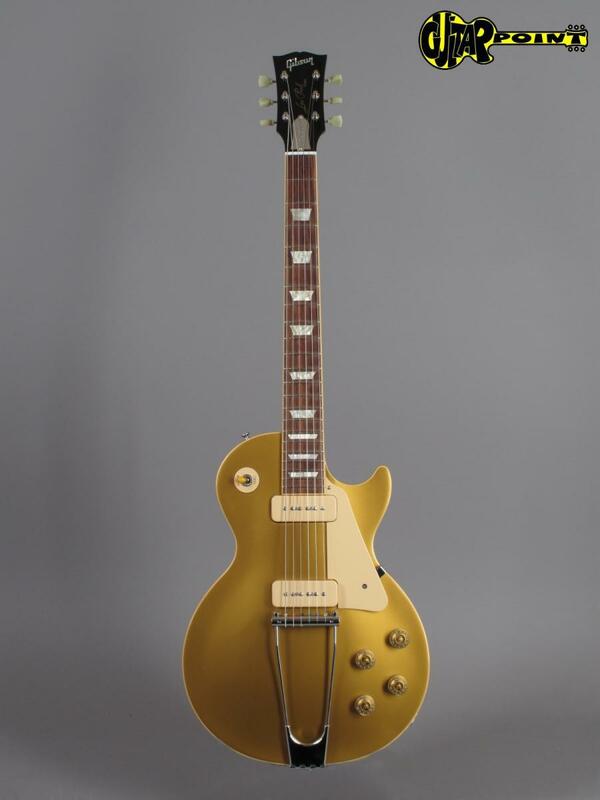 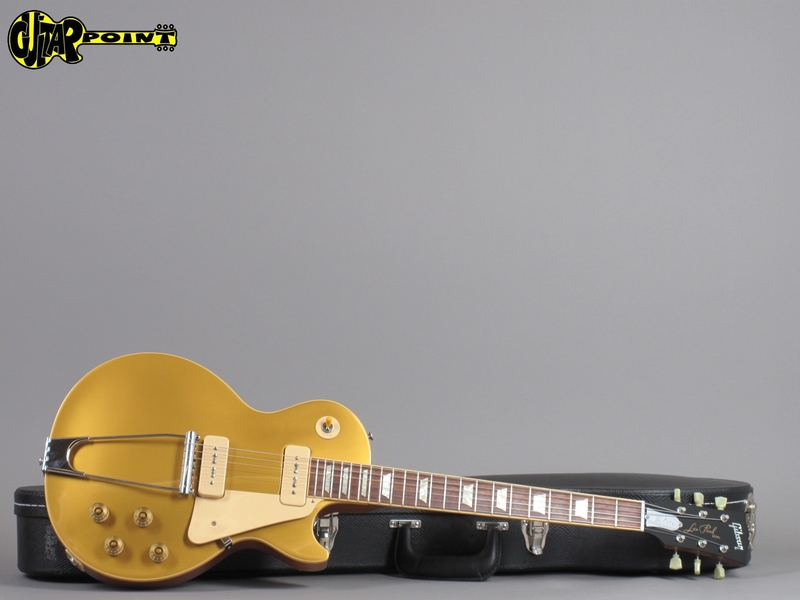 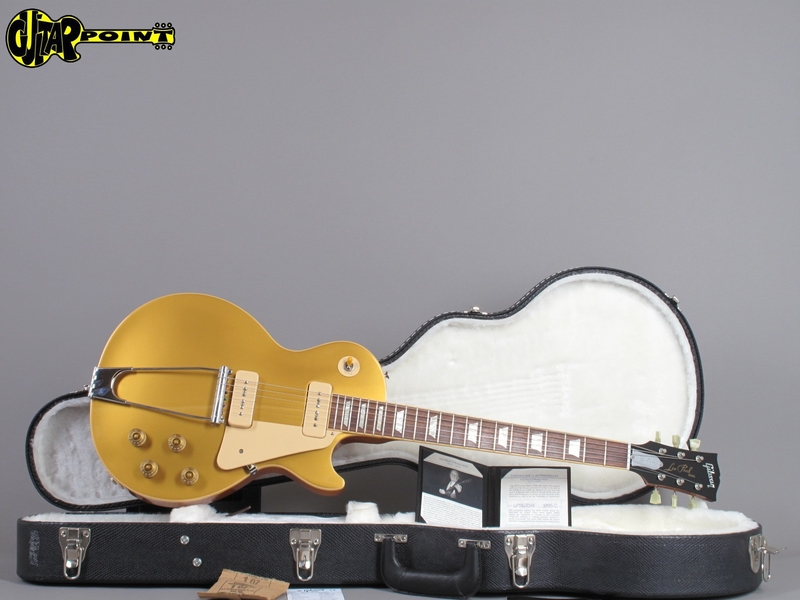 Gibson Les Paul Tribute 1952 Goldtop, limited run of 564 instruments to honor Les Paul after his sudden death in 2009. 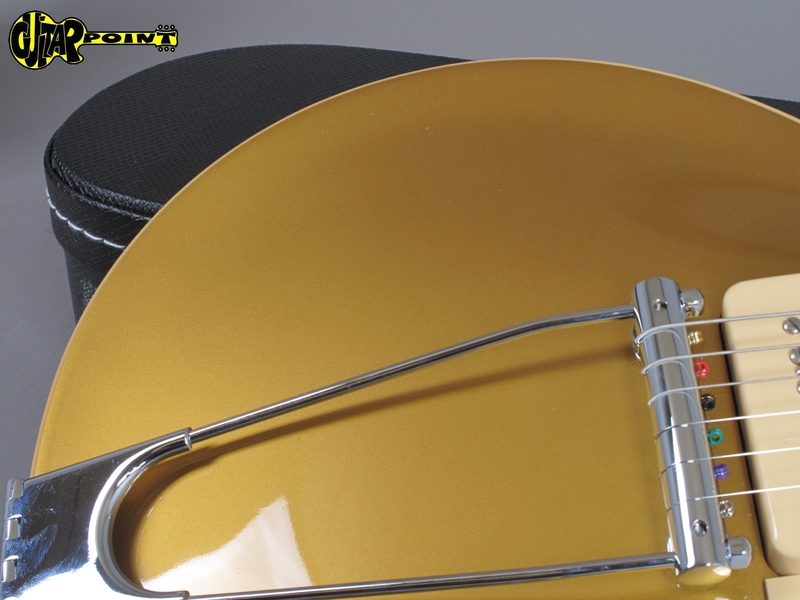 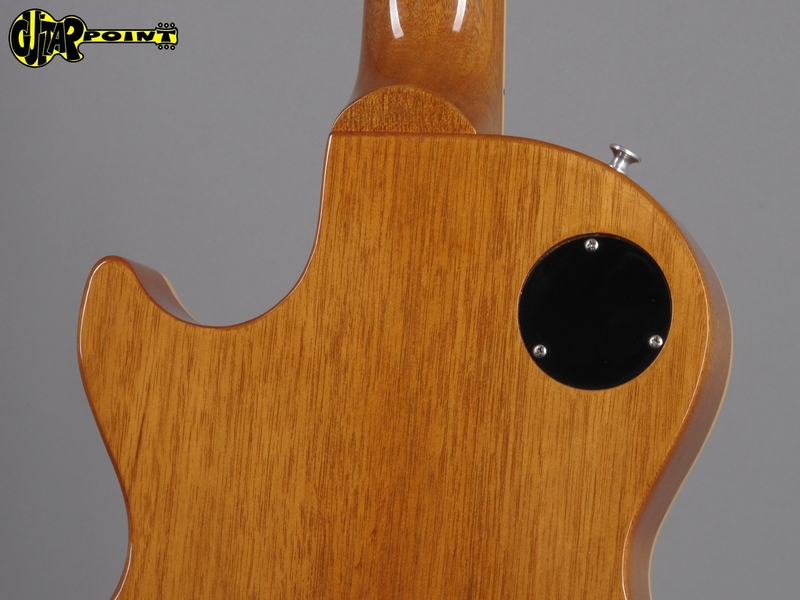 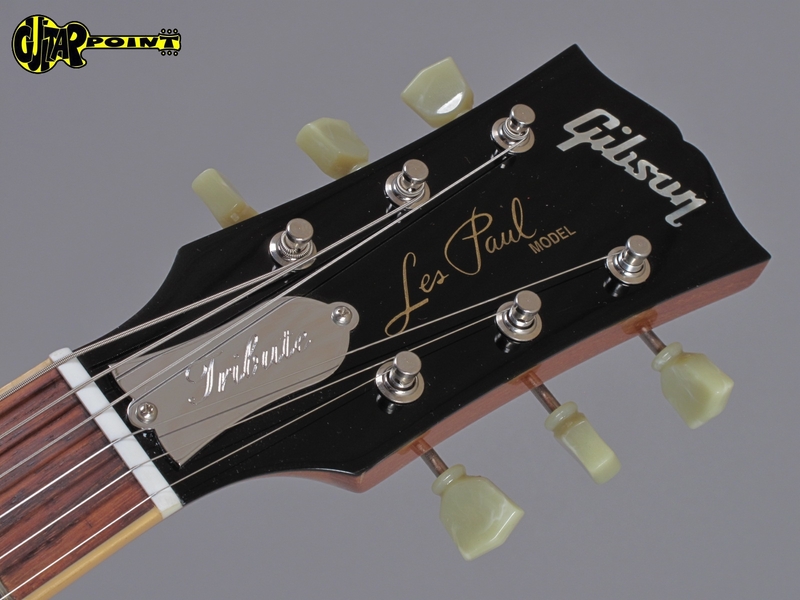 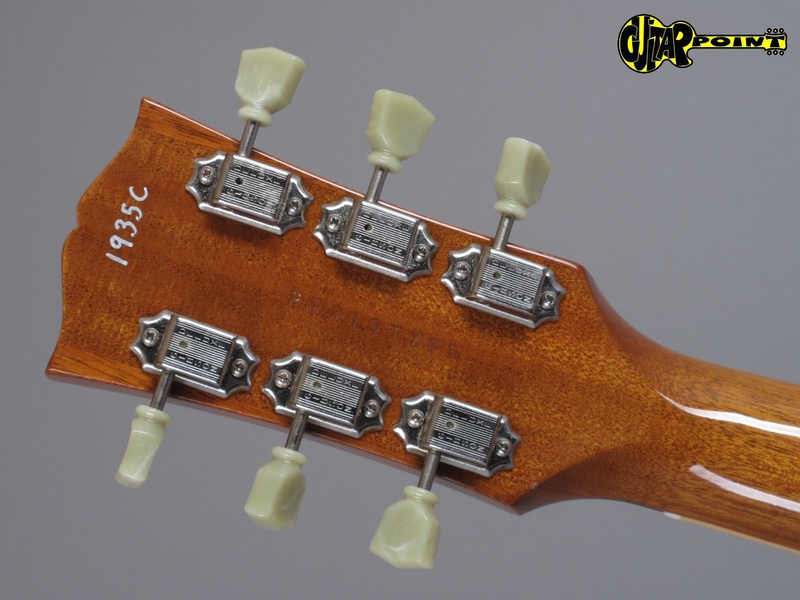 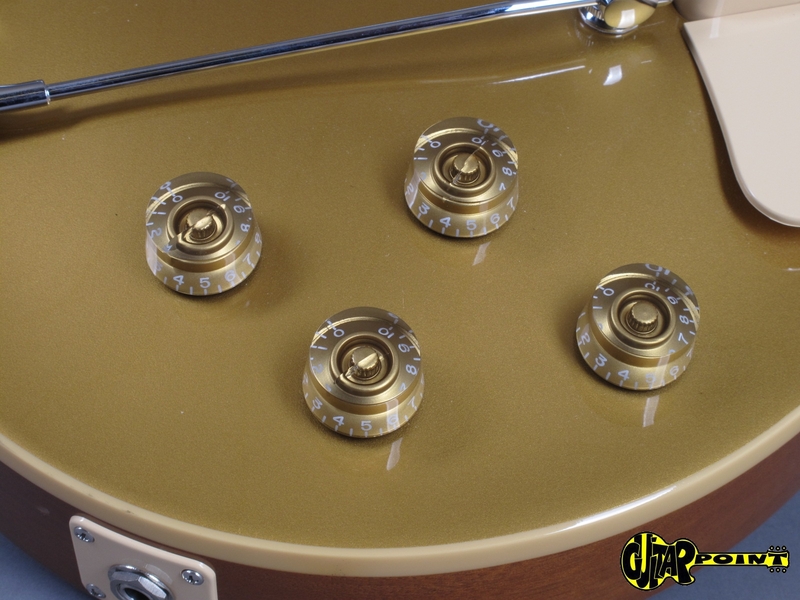 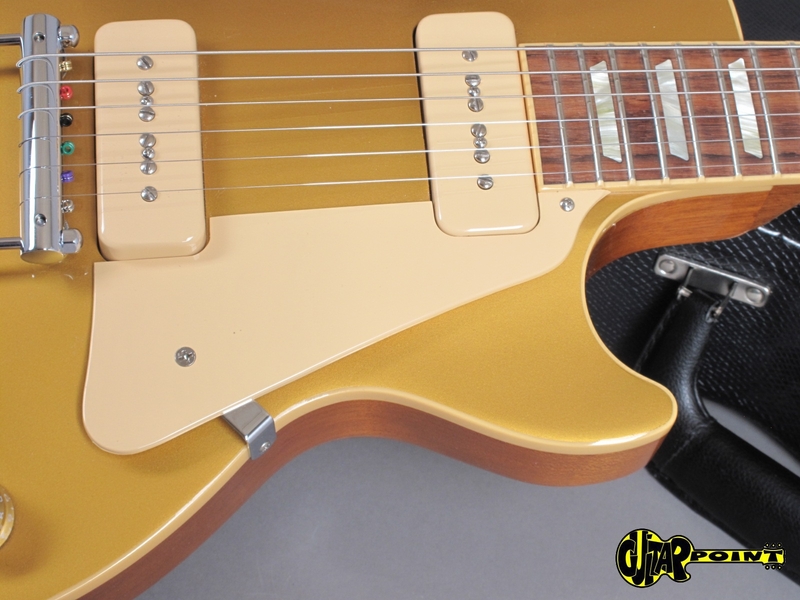 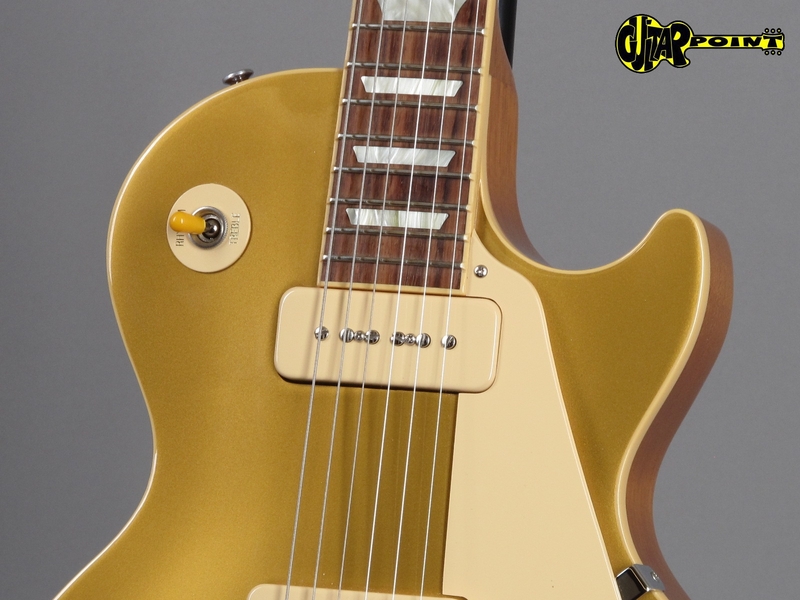 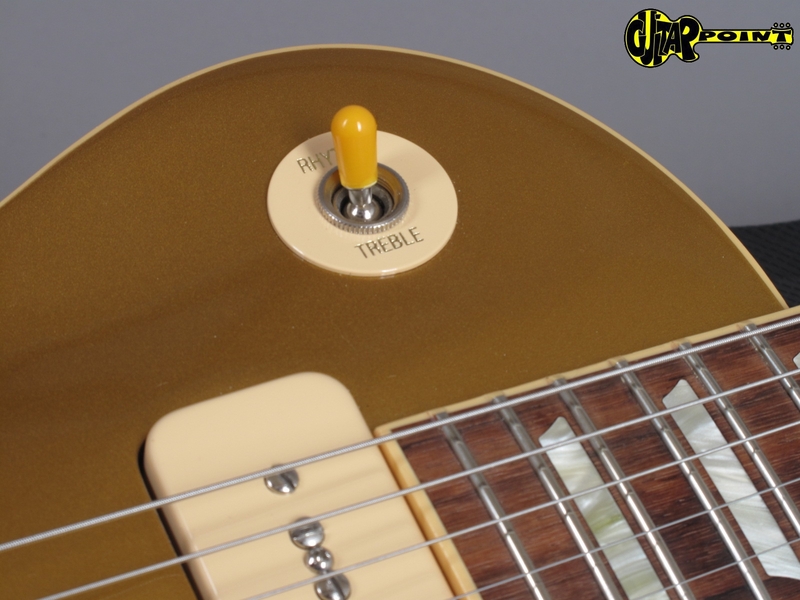 This Tribute is as close as possible to the first Les Paul who came out in 1952, with the exception, that is has a "correct" neck-angle to make it more comfortable to play, with a Wrap-over trapeze tailpiece. 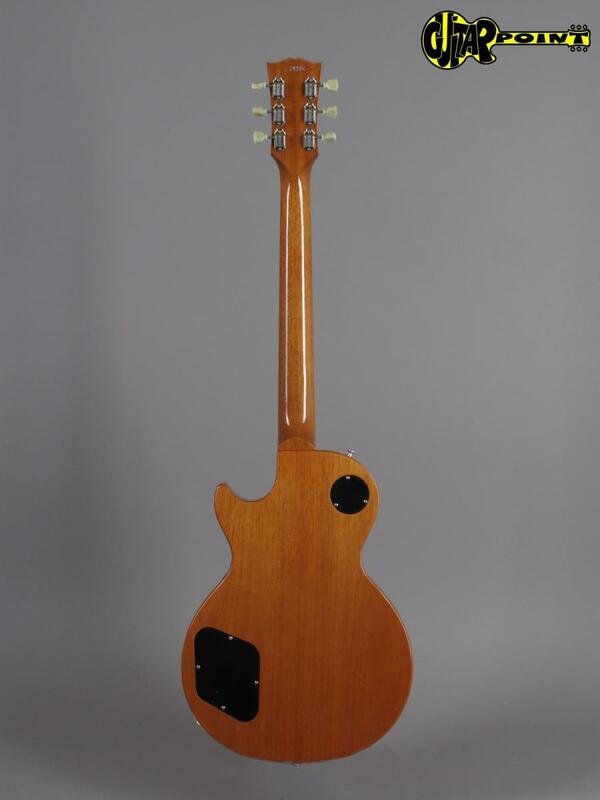 The guitar comes from its original owner, it looks like brandnew, only a couple of tiny dings, barely been played! 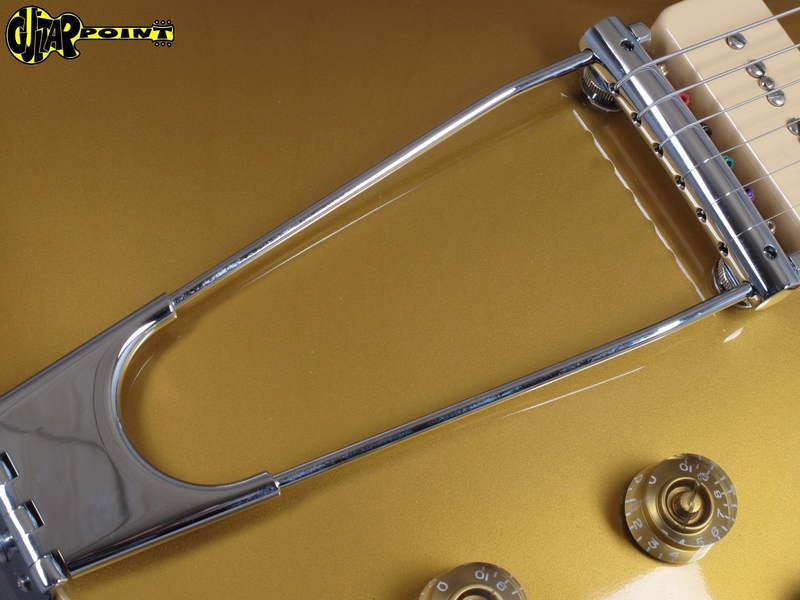 The Rhytmn/Treble ring has been added for better looks but could easily be taken off. 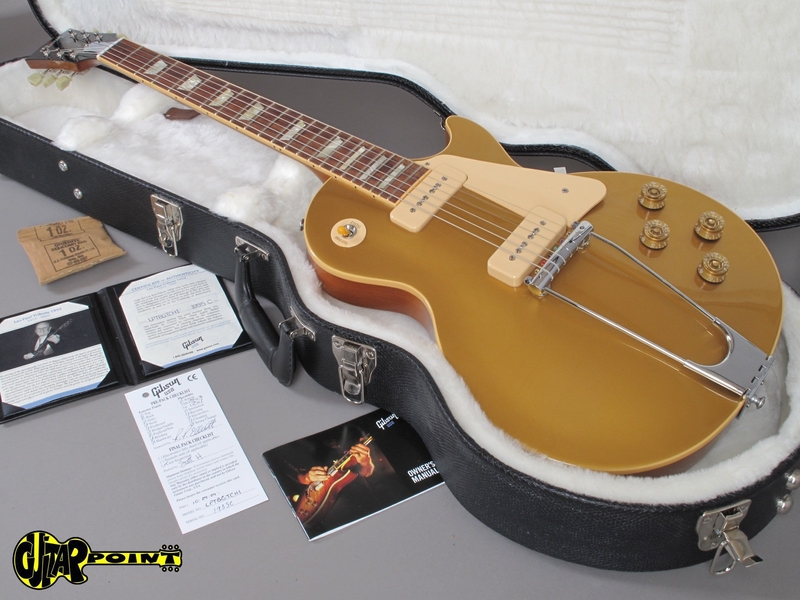 Including COA, a copy of the original Patent-letter and its original black Gibson hardshell case.